Jim Hessler: Hi, I’m Jim Hessler. I’m The Business Guy. I’m the founder of Path Forward Leadership Development and the co-author along with my co-host of the book Land on Your Feet, Not on Your Face. Steve Motenko: And I’m Steve Motenko. I’m The Psychology Guy. I’m a leadership coach –Harvard educated, as our marketing folks like to make me say on-air – and I work with Jim a lot on Path Forward Leadership Development delivering workshops, developing infrastructure for training other trainers and hopefully easing the lives of leaders across the globe. Jim Hessler: Today we’re talking about a concept called Conversational Intelligence. Steve, before we get to our guest and talk about this, just play with that thought for a minute. Conversational Intelligence. How’s our level of Conversational Intelligence? We have different styles. We do some things well. Maybe I do some things not so well. Steve Motenko: Maybe I don’t either. Steve Motenko: Psychotic at times. Yeah, you’re The Business Guy. I’m The Psychology Guy and I think in a way, it’s way too simplistic labels but they work for radio [inaudible 00:01:32]. Steve Motenko: I think you have tended in your life, in your career, [crosstalk 00:01:40] and in our relationship [inaudible 00:01:42] to default to being more direct, to … Let’s see, I don’t know. Let me talk about me. I’ve defaulted toward being more namby-pamby, you might say. I think you’ve actually used that word. Jim Hessler: Have I? Yeah, I probably have. Steve Motenko: I think you have. You’ve kind of jokingly accused me of coach-speak because I’m very careful in conversations. Steve Motenko: I’m very careful in my life. I’m very careful in all my relationships. I think I’m probably too careful and yet I really honor the value in me that drives that carefulness. Jim Hessler: Yeah, absolutely. That’s a good way to say it because I think that sometimes when we look at somebody with a different style than ours, we can tend to just focus on the style when we should really asking is, where’s this person coming from? What’s their intention? What is it about their style that maybe expresses a positive intention or a positive perspective rather than something that’s just kind of annoying to me, right? Steve Motenko: Right, yeah. What are the values underlying that style? 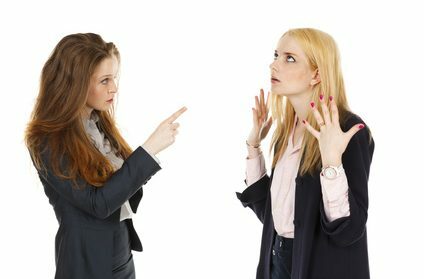 Both of us, I think, say in workshops that we tend to judge other people’s actions – I think we said it in show last week – we tend to judge people’s intentions based on what we see of their actions. We’re not really aware of the intentions of another person because they exist in their mind, whereas we’re aware of our own intentions, so it’s easier for us to forgive our own style than to forgive somebody else’s. Jim Hessler: Yeah. I want to acknowledge, I’ve learned a lot about communication in general from you. Yes. Jim Hessler: From a very young age, I was managing … I had bottom line responsibility when I was about 25 years old. I think that part of my directness is probably family history and culture. I grew up on the East Coast just south of Philadelphia which tends to have a very direct style. I also think there are times when that directness, at least in what I understood at that time of my life, seemed to serve me well, trying to get the attention of bigger senior more powerful people than me, trying to make my voice heard. Frankly, sometimes it really paid off for me to be audacious in the way that I communicated. Steve Motenko: And I’m sure it still does. Steve Motenko: You’re very results driven, not in a bad way at all. You’re confident. That confidence is grounded. You like to take care of things and you like to take care of people. There’s a value in there that also drives your directness. Jim Hessler: Yeah and I also find that still today, people have a bridge that they need to cross with me to learn to trust me, because of the way I come across seems kind of bombastic and I think a little intimidating to people. That’s still something that I’m working on. Steve Motenko: Yeah, and that’s something I’ve learned to deal with. Steve Motenko: So we’ll talk about Conversational Intelligence with Shannon Bruce when we come back. You’re listening to The Boss Show. Jim Hessler: Hi, I’ Jim Hessler. I’m The Business Guy. Steve Motenko: I’m Steve Motenko. I’m The Psychology Guy and if you have an idea for a Boss Show workplace topic or maybe you just want to tell us what you think of us, send us an email. Email address is talktous@thebossshow.com or you can leave a comment on our listener comment line and that number … Are you ready? 206-973-7377. Jim Hessler: Today we have in studio Shannon Bruce. Shannon is a Professional Certified Coach. She owns a boutique coaching firm. It’s called StoryBridge, Inc. That’s located on the Kitsap Peninsula and for those of you that aren’t from the Seattle area, I’ll just tell you, she had to take a boat to get here. Her work with executives and leaders and teams for 13 years now. She focuses on improving the quality leadership in those groups and does that partly in partnership with Path Forward, team dynamics, business results through a variety of coaching and facilitation services. Her passion is to go into companies to create communities with the key intent of transforming their culture, shifting it from a me, to leverage the power of we. Shannon, welcome to The Boss Show. Shannon Bruce: Thank you! It’s great to be here. Jim Hessler: So you’re here to talk to us about Conversational Intelligence which comes out of a book by Judith Glaser. I know you know Judith well. You’ve done some work very directly with Judith on this. Jim Hessler: Let me just start off for our audience by reading a quote from the book that I think is a good starter. Judith says, “Conversations are not what we think they are. We’ve grown up with a narrow view of conversations thinking they’re about talking, sharing information, telling people what to do, or telling others what’s on our mind. We are now learning through neurological and cognitive research that a conversation goes deeper and is more robust than simple information sharing. Conversations are dynamic, interactive, and inclusive. They evolve and impact the way we connect, engage, interact, and influence others enabling us to shape reality, mindsets, events, and outcomes in a collaborative way.” That’s a mouthful but I think what you and I have talked about is, this book … There’s been a number of books about conversational skill, fierce conversations, things like that. This really gets into the cognitive … What’s going on in your brain when you’re having conversations? Let’s start. Why is it so hard for us to have the conversations we need to have? Shannon Bruce: Yeah. I think most of the time we’re actually listening to confirm as opposed to listening to connect. Jim Hessler: So tell us more about the book. Shannon Bruce: Well, I think what’s happening is, I’m listening to what you’re saying, but I’m listening to make sure that I’m understanding through my own filter. Through my own lens of assumption. What’s happens is, is that a lot of times 90% of the conversations are missing the mark, because I’m making conclusions based on what you’re saying which may not be what you actually meant. Steve Motenko: So you’re making conclusions really based on your own filter. Steve Motenko: You’re seeking confirmation of your own perspective. Is that what you’re saying? Shannon Bruce: Correct, because we’re living in a lot of what I would call either transactional or positional types of conversations where we’re either confirming, information sharing back and forth, or we’re trying to influence somebody to our point of view. We’re not having those kind of conversations that are really that open dialogue of sharing and exchanging and discovering, asking questions for which we don’t know the answers and really listening to connect and building relationships at the same time. Steve Motenko: -creating more than what exists in each person’s perspective. You’re creating something different through the conversation. Jim Hessler: So this dynamic you’re describing … All three of us in this room right now do leadership development work and this seems … The challenge, I guess, that you’ve described for us seems particularly profound in a leader, and a boss/employee dynamic. It’s more transactional. It’s more power based than even other types of conversations might be. Shannon Bruce: Absolutely, because we’re focused on getting the work done. We’ve got several blind spots that exist based on the types of conversations we’re having. As a result of one of those, Tell-Sell-Yell Syndrome or that whole addicted to being right, which is what we see a lot of bosses being is that addicted to being right. It’s my position. Steve Motenko: I’m stuck on Tell-Sell-Yell. Steve Motenko: Say a little bit about that. We’ve got 30 seconds. Shannon Bruce: Yeah. Tell-Sell-Yell is where you’re trying to really get people to come to your point of view, tendency toward telling more than listening and asking questions. You’re really just telling them what you think. Steve Motenko: To sell your point of view. Steve Motenko: Then if it doesn’t work, you yell. Jim Hessler: You’ll both tell the audience that I never do that, right? Steve Motenko: Not when you’re on the air. Don’t ask me about when he’s off air. Jim Hessler: Oh gosh. Come on, be nice to me here. Steve Motenko: Do we have to? Jim Hessler: We’re talking to Shannon Bruce about Conversational Intelligence. Interesting stuff. We’ll be right back. You’re listening to The Boss Show. Steve Motenko: Hi, I’m Steve Motenko. I’m The Psychology Guy. Jim Hessler: I’m Jim Hessler. I’m The Business Guy. We’re talking to Shannon Bruce, a Professional Certified Coach and she’s here to talk to us about Conversational Intelligence which is a really worthwhile book by Judith Glaser and also, Shannon, you’re what I would I would call a practitioner of this and can train organizations in how to learn about Conversational Intelligence. Jim Hessler: One of the things that comes up in conversation in a lot, I think, in businesses is this idea of jargon or kind of using this internal code language. To me, that seems like it would be an example of where somebody thinks they’re hitting the mark and they’re not because the person may either not understand they’re jargon at all or understand the term differently. Shannon Bruce: Absolutely and that’s part of the challenge of why conversations miss the mark, whether it’s jargon, or it’s words like trust, or it’s words like alignment, or are we on the same page? Well, what does that mean to you? What does that mean to you, Steve? What does that mean to me? Steve Motenko: And we tend not to ask that question. Shannon Bruce: That’s right, because we think we know. Steve Motenko: Right. We tend to assume that when you use the word trust, it means the same thing as when I use the word trust. Jim Hessler: But also when somebody in a position of authority uses that word, we kind of feel like we should know what they mean. Steve Motenko: We shouldn’t have to ask because it reveals a weakness or something. Jim Hessler: Right, right, right, yeah. Shannon Bruce: Absolutely. Well, and I think that’s part of what the challenge is, is that we get to this place where we might be uncertain at the moment of contact when we’re engaging with people and it results in this idea of groupthink, or status quo, or protecting turf, or powering over, some of those things that we talk about in a traditional command and control model. We’re trying to shift those conversations to really support people and having those we-based conversations and really give people the opportunity to bring their voices. Steve Motenko: Speaking of jargon, what does that mean, we-based conversations? Shannon Bruce: We-based means that we want to hear from everybody. We want to hear what every single person has to say or think about that and make sure that we’re bringing in all those different points of view, getting those different perspectives, recognizing that that’s what creates the synergy and the dynamic where we can build from that and create from there. Steve Motenko: And again, as you said earlier, not just listening to other’s perspectives but making sure that we understand that the language that they’re using, sorry, making sure that we understand the language that they’re using, that we’re not simply comparing it to the way we use that same language and assuming it’s the same. That requires a kind of continual peeling back of the onion of meaning in conversations. Jim Hessler: -conversation as I sit here and listen to these two certified coaches talking. Steve Motenko: Coachspeak as you like to say. Jim Hessler: [inaudible 00:13:23] this coachspeak. Isn’t part of Conversational Intelligence not getting too amped up when you don’t feel like you’re being listened to or when you feel like you’re being slighted? I mean, to me, there’s a responsibility on both sides of a conversation. I often hear people say, “Well, I don’t feel like … I didn’t feel listened to in that conversation.” Okay well, don’t we have responsibility to say when we don’t feel like we’re being listened to? Sometimes I think we don’t put enough of the responsibility on the second partner in a two-way conversation. Steve Motenko: We have about 20 seconds. Jim Hessler: We can come back to that. Shannon Bruce: I think a lot of it’s because we’re in that place of consensus, shaking your head mm-hmm (affirmative) I’m nodding, or groupthink, and we’re not actually having real trust-based conversations. Jim Hessler: Okay and so I want to come back from that in a little bit because I think it’s important to have, obviously, great conversations. I also don’t know what the limit of that is before it becomes unproductive or less productive. You’re listening to The Boss Show. Jim Hessler: I’m Jim Hessler. I’m cool. I’m The Business Guy. Steve Motenko: I’m Steve Motenko. I’m nerdy. I’m The Psychology Guy. We have in studio with us Shannon Bruce who is a Professional Certified Coach and is a certified facilitator, I want to say. You can correct that language of the Conversational Intelligence program. Shannon Bruce: Well, I’ll find out this week if I’m officially certified, yes. Shannon Bruce: Just got done in December. Steve Motenko: Depends on how well you do on this show, right? Shannon Bruce: Yeah, right? It’s my final test. Steve Motenko: So you said during the break something like, it all comes down to how safe people feel to speak up. Expand on that. Shannon Bruce: Well, first of all, I think when you talk about having some basic framework for conversation, you got to make sure that the space, the environment, has been primed for safety. What we do is we go in and we establish rules of engagement so that people have the ability to say what they need to say, to be able to communicate their different points of view, and be able to build that level of transparency and relationship and understanding of each other, building that shared sense of common success so ultimately they can tell the truth with candor, care, and courage. Steve Motenko: When you say you create rules of engagement, how do those rules of engagement stand up to egos? Shannon Bruce: That would be a question you would ask. If we have ego in the room, what do we need to create an environment that people don’t feel like other’s egos is stepping on your toes, so to speak? You’re really just continuing to dive deeper by asking questions, not making assumptions or telling people what you’re going to do, but really asking those Level 3 open transformational type of questions where people get an opportunity to be heard. Jim Hessler: So you just went to Level 3. Jim Hessler: Level 3 is one of the teachings in the book which I’ve read. Jim Hessler: I want to ask you about a Level 3 interaction as defined by Dr. Glaser. What is a Level 3 interaction? Steve Motenko: This is why Jim asked the question, because he doesn’t know how to do any of that stuff. Jim Hessler: My prefrontal cortex is so damaged. There’s no hope for me. Jim Hessler: It’s from banging my head against the wall working with people like you. Steve Motenko: Well done, you topped me. Steve Motenko: To explore, to discover, and to connect at the deeper level as you said, to connect with another human being which is a phenomenon that’s happening underneath all the words and all the information that’s being shared. Shannon Bruce: Absolutely, for the sake of business results. When you have trust that’s operating in a conversation, you can accelerate those results. You will get exponential impact because people know where they stand with each other. They can tell the truth. They can really get to the heart of the matter quickly and really focus on what’s the challenge at hand, or how do we solve this with a new idea? Jim Hessler: There’s this interesting thing that goes on, I think, with this sort of practice, which by the way, I really commend it. I just celebrated a big wedding anniversary, number 40. We’ve described it as a 40 year conversation. It’s what our relationship has been built on really is conversation. So I get that. I think where I start to get concerned is being in conversation and actually being more focused on the conversation than on the content of the conversation. Does that make any sense? Now I’m focusing on the conversation we’re having rather than what we’re actually talking about. Steve Motenko: But I think there’s an analogy there to being focused on a relationship while you’re also trying to get work output done. Shannon Bruce: It’s a both/and. Jim Hessler: Okay. Well maybe that’s where my work is, to do in the future. Steve Motenko: -which we kind of bypassed for Level 3 so stay with us and Shannon Bruce. When we come back, you’re listening to The Boss Show. Steve Motenko: I’m Steve Motenko. I’m The Psychology Guy and we have in studio with us Shannon Bruce who is a just about to be certified facilitator of the Conversational Intelligence model. Shannon, in the last segment you were talking about Level 3 conversations which just inspired me. These conversations that are curious and exploratory and just filled with discovery as well as connection to the people involved in the conversation. What are the Level 1 and Level 2 conversations? Shannon Bruce: Level 1 is transactional where we’re just exchanging information, telling and asking for the sake of getting the bottom line transaction handled. Jim Hessler: When does the bus get here? Shannon Bruce: Exactly. When does the fairy leave? Shannon Bruce: That’s my question. Steve Motenko: We’ll get you there on time. Shannon Bruce: Then Level 2 is really that positional, where it’s an exchange of power. You’re advocating and you’re inquiring, really to try to influence people to your position. Shannon Bruce: No that one’s the addicted to being right, where you’re trying to persuade. The Tell-Sell-Yell is where you’re informing and trying to get people to do it a certain way. You’re just bottom line telling people. Really, one thing I want to make clear is they’re all needed. All levels are needed, but it’s about learning how to fine tune your conversational instruments so that you know what is necessary at any given time. Jim Hessler: Yeah. You don’t have to go to Level 3 if you’re just exchanging information. Shannon Bruce: Right. Absolutely. You need to exchange information. Jim Hessler: There’s a lot of stuff going on chemically in our bodies when we’re talking to people. There’s a lot happening. Jim Hessler: Tell us a little bit about that. Shannon Bruce: Well first of all, we’re making a decision within seven seconds whether we can trust somebody and instantly our body is deciding for us whether that person’s safe and a high trust person. Steve Motenko: And Jim, you lost in the first seven seconds. Jim Hessler: That’s seven years ago. I missed that window. Shannon Bruce: It depends on what part of your brain is being activated. If you’re in a resister or a skeptic mode of low trust, your lower brain is activated. You’ve got your amygdala, which is that fight flight freeze or appease that’s happening. All of a sudden you’ve got cortisol flowing through your body. That’s one response. Jim Hessler: To be fair, there’s some people for whom that physical response comes from their birth family. It’s historical. It’s going to happen more with some people than others. Shannon Bruce: Well, it happens with all of us because we also have this thing called the amygdala hijack where somebody can trigger you. Shannon Bruce: That’s a new term. Steve Motenko: Speaking about jargon. Steve Motenko: Love to use it. Steve Motenko: Title of our next book. Shannon Bruce: Well, and we get that flush of cortisol. 36 hours. It’s either 26 or 36 hours. Steve Motenko: The cortisol is the stress hormone as I understand. Shannon Bruce: Absolutely. You bet. Yep. Steve Motenko: After a bad conversation, we might still be feeling the effects of that the next day, literally. Shannon Bruce: Absolutely. We need to really focus on how do we begin to upregulate our conversations so we’re including other people, we’re appreciating, we’re connecting, for the sake of building oxytocin based results. That’s where we’re connecting. That’s the bonding hormone. Jim Hessler: -after their babies are born, this rush of oxytocin. Jim Hessler: So is that a pick up line? Hey baby. I’m feeling a lot of oxytocin right now. Steve Motenko: For neuroscientists, yes. Jim Hessler: At a nerd convention. Steve Motenko: That’s right. So as I was saying if people want to know more about Conversational Intelligence, we’ve got about 15, 20 seconds. Shannon Bruce: Yeah. Well, first of all, they can always reach out to me, shannon@shannonbruce.com. You also can go to conversationalintelligence.com or creatingwe.com which is the main platform that Judith E. Glaser has created that really houses the body of work and the framework. Steve Motenko: She’s the author of the book Conversational Intelligence. Steve Motenko: Well thanks so much for taking the fairy across and joining us on The Boss Show. Shannon Bruce: Absolutely, thank you. Steve Motenko: Shannon Bruce. Final thoughts to wrap up when we come back. You’re listening to The Boss Show. Steve Motenko: Hey, welcome back to The Boss Show. I’m Steve Motenko. I’m The Psychology Guy. Jim Hessler: I’m Jim Hessler. I’m The Business Guy. Today we spent our show talking about Conversational Intelligence with Shannon Bruce. If you think about conversations as foundational to relationship, we can’t them lightly. Jim Hessler: Conversations are super, super important. Steve Motenko: Right. As Susan Scott says, the conversation is the relationship. Jim Hessler: Yeah and I think sometimes we don’t recognize what’s in front of us in terms of challenge and opportunity that’s present in that moment in a conversation. Steve Motenko: We default to a lower level of interaction. Jim Hessler: We do or we’re just not mindful. We’re just not mindful of what’s in front of us. The need that’s in front of us or the calling out for going to a deeper level with somebody. Be aware of it. Conversations are important. Steve Motenko: -is produced by Path Forward Leadership Development. Our sound engineer today is Kevin Dodrill. Jim Hessler: If you missed any of this show you can get it in its entirety online at thebossshow.com. Steve Motenko: That’s also where you can go to subscribe to the podcast or to contact us, maybe to bring us into your workplace. Steve Motenko: Don’t forget, rule number 6.